Kathy Ward worked for 36 years at Canadian Black Book. Kathy Ward, former CEO of Canadian Black Book, died of cancer this week at the age of 60, a company spokesman has confirmed. The company said she died peacefully Christmas Eve, surrounded by family and close friends, after a multiyear battle with cancer. Ward worked at Canadian Black Book, one of the country’s foremost vehicle value publications, for 36 years. She retired in September 2016. Ward started at the company during her school days, attending trade shows and other industry events with her father, Bill, who founded the publication in 1951. By 1980, after graduating from Seneca College, Ward became an office administrator and then went on to establish successful sales results in an industry dominated by men. Ward became president and CEO of Canadian Black Book in 2006. Four years later, she led the launch of CanadianBlackBook.com, a move that helped the company continue to grow. "Kathy was responsible for delivering Canadian Black Book into the digital age," Canadian Black Book President Brad Rome said in a statement Wednesday. "Kathy, and the Ward family have given so much to the auto industry in Canada. We are going to remember that, build on it and we will miss her dearly." In 2015, Ward negotiated the sale of Canadian Black Book to U.S.-based Hearst Business Media. She retired about a year later. At the time of her retirement, Ward said her career demonstrates that women “need not fear” entering the industry. "Above all, the accomplishment that Ward always held highest was her ability to prosper as a female at the helm of an automotive company," a company statement issued Wednesday reads, in part. "Things have changed since her early days going from dealer to dealer selling, yet Kathy always believed the industry has an abundance of room for more women to grow in automotive and succeed as she did." 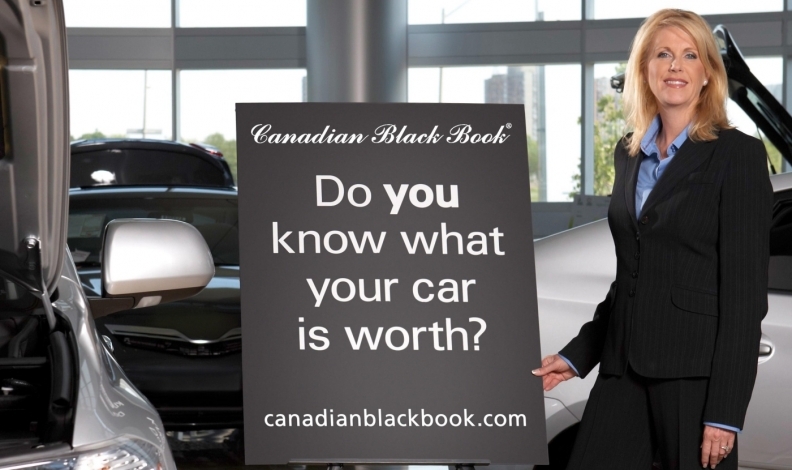 Canadian Black Book data is now delivered digitally on a daily basis to new- and used-car dealers, lenders, manufacturers, fleet remarketers, and government agencies. "Her father, Bill Ward, the company’s founder, became comfortable in the backseat, knowing she was better suited to bring the company into the age of technology," the company statement reads. "Data and the demand for residual values began to surge in the banking and insurance worlds, and Kathy took over."